It would seem wrong, whilst writing this report, not to acknowledge the sudden death of Rev Richard Thornton, which I heard about yesterday. Richard was a very significant person within the Lincoln Diocesan Cursillo movement, and will be missed dreadfully. Our love and prayers go out to Julie. Richard and Julie attended Lincoln #20 in 1995. (The first time I staffed!) They have remained very involved, hosting a Reunion Group and other Cursillo committee meetings for many years. I know Piers especially appreciated Richard’s help with the organisation of the National Ultreya when it was held in Lincoln in 2011. It is farewell, too, to those in the West Norfolk Reunion Group. Not through bereavement, but because it has been decided that it would be more sensible for them to “belong” to the Norwich Cursillo, now that it has come into being! The idea came from the Group members, so it is not a case of being manipulated by the powers that be! 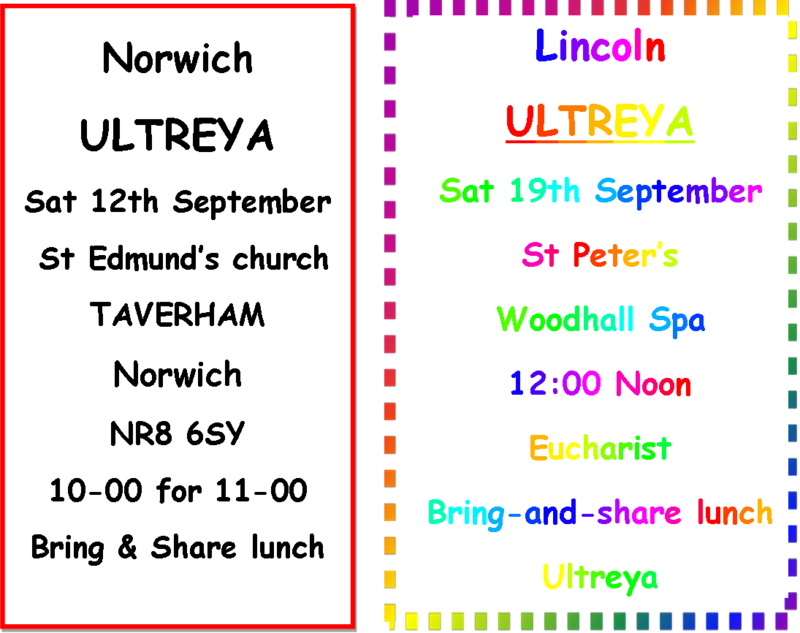 I have been in touch with the Norwich Lay Director, Jean Rockett, and we are in agreement that it would be easier for them to attend Ultreyas and events there than in the Lincoln diocese. They will be well looked after! We won’t lose touch, though – Bridget assures me she will pop up from time to time! One of the beauties of Cursillo is the unconditional love that underlines the feeling of family wherever we meet. There has already been a cross-fertilisation of Team members on weekends in both dioceses, and friendships built up will surely flourish. Plans for Lincoln #31 are progressing well. Just 7 Pilgrims at present. Please pray for Pilgrims and Team alike. The Secretariat has booked Bishop Grosseteste for #32 in June 2016! Do keep in prayer those who will attend and those who will staff – yet to be decided! 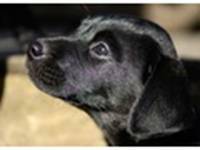 My younger dog, Zoe, wrote an article for our parish magazine this afternoon. We have just returned from a fabulous two-week holiday in the Yorkshire Dales, and she was ruminating about the lovely long walks we enjoyed. I helped her draw parallels with the experiences of people on their spiritual journey. (Maybe I will ask our editor if there is room in this Imp-sheet to include it!) (It is, click here to see it) I am increasingly thankful for those who walk alongside me on my own journey, especially my Cursillo family. If you read my report about the Santiago Pilgrimage you may remember how I became increasingly aware of God as Companion as I consciously stilled my mind. A recent silent retreat at Launde Abbey was a joy and blessing too. Silence is not for everyone, but I would encourage you to give it a go! The trouble was that I felt a reluctance to take up the reins again when I came home! But the almost tangible presence of God remains, and I look forward to sharing fellowship with you all at the various Cursillo events coming up! Find out about them in this Imp Sheet, and put them in your diaries! And don’t forget to look for the BACC pages too, available on the National website – they make inspirational reading! Yes, it's all excitement, especially for the team who will staff the weekend of Lincoln Cursillo #31 at the beginning of October. As I write it is August, and soon we are to have the first of the two training days, when the staff will gather to discuss the weekend. That team has been selected under its team leader, the Lay Rector, John Scott. Each member will be allocated their duties and their responsibilities. As they work together in preparation, the team grow closer, and become determined to make the coming weekend the best one yet. I am sure that you will remember making your own Cursillo, at least some of it! Certain times, some events will be clear in your minds. Do you remember all the fifteen Rollos, those talks? I don't expect that you remember a lot of those. What about the meditations? Not much, I suppose. I know what you remember, it's the singing, the artwork, the laughter, the surprises, but most of all the love. Most Pilgrims are a little taken aback by the outpouring of God's love as the weekend progresses. Prayer, study and action are the pillars of the Cursillo Way. Each of those foundations informs the others. So I ask you to play your part in the coming weekend. Each person who has made their Cursillo is a Cursillista. And as a Cursillista you are a disciple, so I ask you to pray for the team and for the Pilgrims, in the coming weeks. Pray for the success of the weekend. Pray for the outpouring of the Holy Spirit of both Pilgrims and staff. Remember your own weekend, and pray that the new pilgrims will experience the love of God in new ways. Pray that they will come to realisation of their part in the life of the universal church, to fulfil God's plan for his creation. Whatever is happening in your life right now, whatever are your circumstances, I know that God will be with you, and I pray for God's blessing on you. “Have just returned from a wonderful weekend up in Northumberland with fellow Cursillistas and what a joy the whole weekend was. Gillian Padley had a bit of a white knuckle ride there and back, I don’t think living in the fast lane with my driving was what she expected!! However she’s survived to tell the tale. Shepherd Dene is a wonderful building and the staff were super, giving us delicious meals etc. Nothing was too much trouble. The surrounding countryside was beautiful and every morning we pulled the curtains and had a splendid view. We both felt it was a valuable weekend in so many ways, particularly as Gillian is to be a Lay Rector soon. We learned so much about the Cursillo Weekend and what is involved in an authentic weekend. We also discovered just how important sponsorship is and its responsibilities. Choosing the right pilgrim, at the right time, for the right reasons is so important. Imparting the importance of the 4th day and the follow up to the pilgrim before they go on the weekend was felt to be of the utmost importance, after all the 4th day is what Cursillo is really all about. The leaders were excellent, Jan Watts, Paul Thacker and Hugh Burgess and the worship so full of the Holy Spirit. I think they must have heard us all across the North-East when we sang!! We met and made lots of other friends and I know we shall keep in touch and meet up hopefully at Blackburn in September. On Saturday 13th June I went to Southwell Minster, as a guest of Southwell & Nottingham Anglican Cursillo, to take part in their 30th Birthday Celebration! Fortunately I found it easy to find, and, almost more importantly, there was a pay-and-display car park immediately opposite! The morning session was in their equivalent of our “Old Palace,” which has been restored and now known as “The State Chamber.” Although on my own I immediately felt as if with Family, as I was greeted with a hug from one of their Spiritual Directors and shown where to display our banner. I soon found people I know – Jenny who came on the Santiago Pilgrimage with us, Angela & David Simcox who have recently moved to live in that diocese, Jacqui Johnson, our East Midlands rep on BACC, and several other people from Leicester and other dioceses who had come to our own 20th celebration in January of this year. One such was Elaine King, the Lay Director of Southwell & Nottingham. Unfortunately Elaine has been very ill and was not long out of hospital. She was not looking her best, and had indeed been advised not to attend, but she so wanted to head up the Celebration, and did so with such heart and soul. We began with several worship songs, with true Cursillo enthusiasm! The invited speakers were our National Spiritual Director, Hugh Burgess, and our National President, Sally Hanniker-Major. Largely it was a repeat of their talks with us in January, but very valuable revision. They challenged us to think of the value of Cursillo, concluding that it is not just one way of being a disciple, but that its purpose is to support the Church in its mission of growing disciples. We considered what form Cursillo might take to fulfil this purpose in the coming years. Hugh’s vision is to see “The Cursillo Method” of Prayer, Study & Action made available in every church in England, Scotland and Wales by the year 2020! We were encouraged to invite people to our Reunion Groups, even if they have not attended a “Weekend.” Or, to invite a few folk from our own congregations to share something similar over a coffee. The method is a gift to the Church, even if people do not recognise it as Cursillo! There followed the sharing of a massive cake, beautifully iced and decorated, and yummy to eat!! A lovely day to share in; a day to remember! On the next Saturday, 20th June 2015, I went to Leicester Cathedral to take part in their 21st Birthday celebration! Unfortunately their vision to share fellowship over a picnic lunch in the cathedral grounds beforehand was thwarted by inclement weather. Nevertheless, fellowship abounded during the afternoon! Only one other person from Lincoln Cursillo was there, but I still recognised the familiar feeling of unconditional love within the Cursillo family! Banners were processed from seven dioceses – Leicester, Lincoln, Durham, Sheffield, London, Norwich and Chester. I was amazed how far people are prepared to travel to represent their dioceses – perhaps I shouldn’t have been. The Eucharist was celebrated by their Bishop Christopher, who had himself done a Cursillo weekend – in Malawi! All the servers seemed to be wearing Cursillo pendants too. Our National Spiritual Director had been invited to preach. He reflected on people coming together for birthdays, and especially for a 21st, when someone is on the brink of adulthood. He mentioned Paul, in his reply to the Corinthians, reminding them not to build ministry on experiences alone, but to rely on God’s strength when we return to the plain from the mountain top. I’m sure I needn’t spell out the parallel he drew to Cursillo! He again shared his 20:20 vision, for the Cursillo method to be used in all parishes by the year 2020. At the end of the service Sally, our National President, gave a greeting. She reminded us to keep on meeting in our Reunion Groups, where we can be encouraged and empowered. There we can thrive and grow, ready to bloom where we are planted – in our parishes. I should like to leave you with a thought from the Intercessions; that we might be Vigilant in Prayer, Diligent in Study, and Discerning in Action. On a very,very, wet Saturday morning in June I took the bus to Norwich to attend Norwich Cursillo’s 1st Ultreya in the cathedral. I sat down in the cathedral next to a lady called Pauline who knew nothing at all about cursillo, but was in Norwich to visit a very sick and dear friend in hospital and had then come into the cathedral and was pleased to find our service about to begin. She shared in our floating reunion group, joined in our worship and listened with us to the interesting witness talk. After the service Pauline said she had enjoyed and taken comfort from the fellowship she had shared with us. I would like to think that the Holy Spirit had led Pauline to join us on that day. Maybe she will even be a future cursillesta! Having recently staffed on Norwich# 7 it was good to renew friendships and to meet up with Bill and Pat Rout (Lincoln# 8),who now live in Norfolk and are active in Norwich cursillo. Our time together was concluded with a bring and share lunch. It was lovely to see that the rain had gone and be met with sunshine as I came out of the cathedral. We have just come home from two weeks holiday in the Yorkshire Dales. We have had some fantastic walks! Sometimes they were longer than expected, because of Dad’s (lack of) map-reading skills. (He would say it was because of insufficient signposts!) Our very first walk was supposed to be two hours, but it took three and a half! Mum got the giggles when she fell over with exhaustion for the second time! We all got very wet walking through the moorland heather trying to rediscover the footpath. But we found it eventually, and all was well. Mum says similar diversions and problems can hold people up too, on their spiritual journey. Sometimes they stray from the path, either because they turn the wrong way by accident, or because they become distracted by something that tempts them to leave the right path for a while. And sometimes they face things that get in the way even if they are on the right path. Their “stiles” and “nettles” might be problems at work, challenging relationships, debt, redundancy or failing exams, stress, physical accidents or illness, or bereavement. But their “Dad” – God – is there to help them, if they will allow him to. She says some people are better than others at accepting help from others on the same journey. Maybe they should just let it happen!